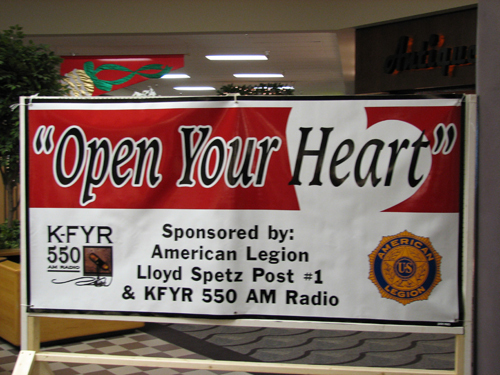 The 88th consecutive annual “Open Your Heart” campaign for families in Bismarck and Burleigh County in need at Christmas time is underway! The Legionnaires of Lloyd Spetz Post Number 1 of the American Legion have led this community supported Christmas charity for families in need in Bismarck and Burleigh County every year since the 1st campaign in December 1930. Open Your Heart helps people every year because of the thousands of volunteers and contributors who so faithfully work with us and who so generously contribute their time, food and money to make Christmas brighter for these families. Financial contributions in any amount can now be made to Open Your Heart by making your check payable to Open Your Heart and mailing it to: Open Your Heart, PO Box 753, Bismarck, ND 58502-0753. You can now make contributions online by visiting the new website www.openyourheart.us where donations can now be accepted thru PayPal. 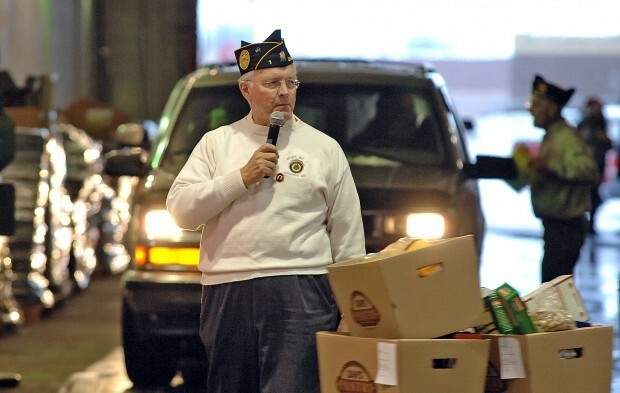 Checks or cash or non-perishable, non-damaged and not out of date food items can be delivered to the American Legion office in the AMVETS Building at 2402 Railroad Avenue. In the south end of Kirkwood Mall, KFYR 550 AM Radio will be holding its 31st consecutive annual live on air broadcast from 6:00 a.m. to 6:00 p.m. You can deliver your checks or cash and food items to the volunteers waiting there to receive your donations. 7:00 p.m. 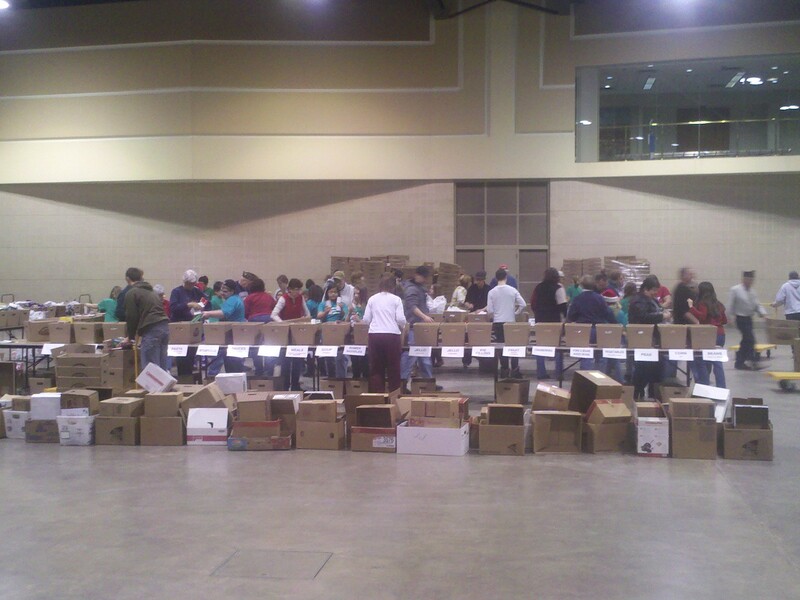 Hundreds of volunteers are needed pack baskets for the families. Tables are set up, each with a particular food item. Members of motorcycle clubs fill tote boxes with stapes of food and volunteers pack baskets for the families. The volunteers move around the tables and food items are placed in the baskets based on the number of members in each family. After that is complete, by about 8:30 pm, Boy Scouts and others take down the tables and sweep up. Open Your Heart campaign loads and delivers baskets. 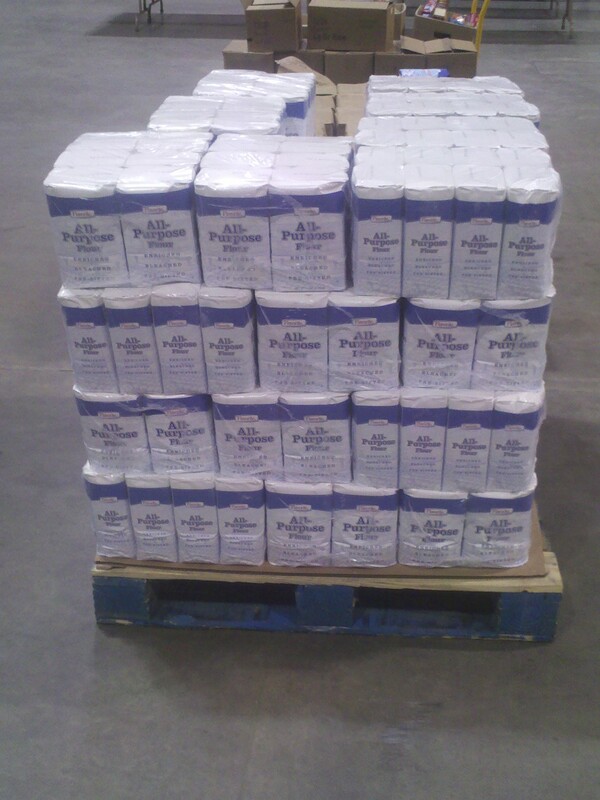 6:30 a.m. Perishable food items (turkeys, chickens, bread, milk and cole slaw) will be delivered to the Exhibit Hall. 7:00 a.m. 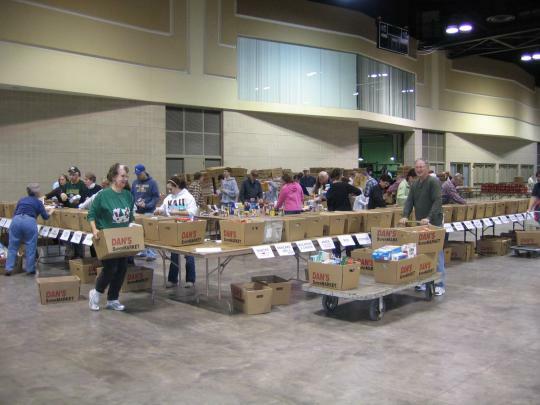 Volunteers are needed to begin to add perishable food items in food baskets in the Exhibit Hall of the Bismarck Event Center. 7:30 a.m. 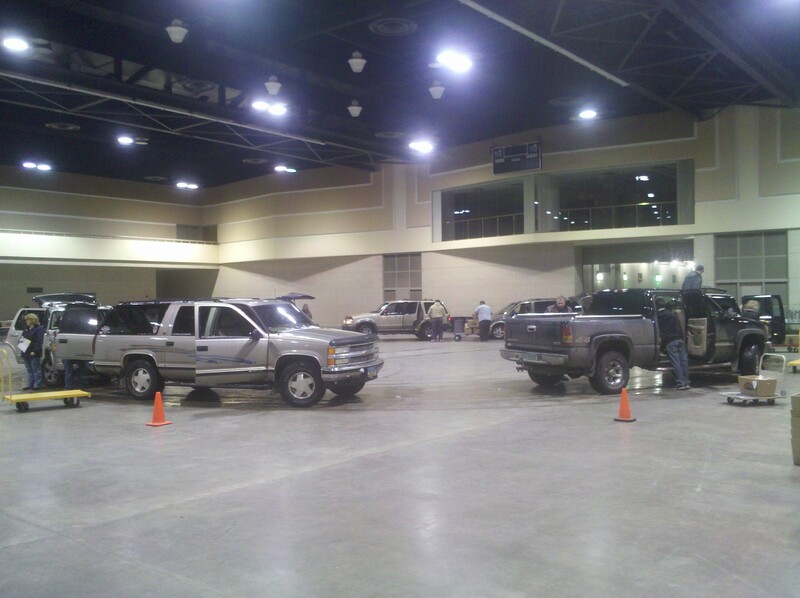 Volunteers with their own vehicles will drive into the warmth of the Exhibit Hall and turn off their engines while volunteers load them up with all of the food baskets for one or more families. When the vehicles are loaded, the volunteers will drive out and deliver them to the families making Christmas brighter for them all, while another group of volunteers will drive into the Exhibit Hall to repeat the process until all of the food baskets have been delivered. 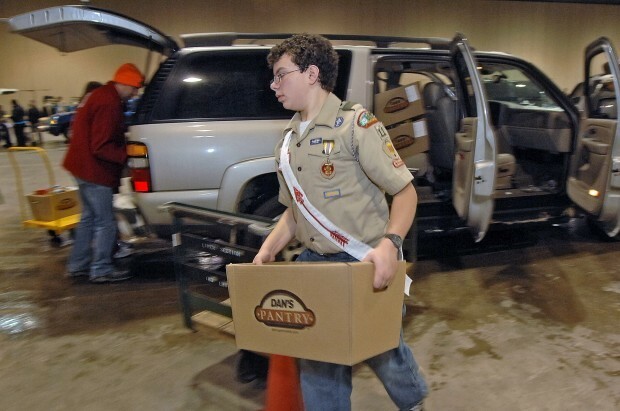 After the drivers deliver the food baskets, any undeliverable baskets are returned. Some last-minute families will get the undeliverable baskets, with the rest being delivered to the Salvation Army. By 10:30 a.m., the work is basically done and planning for the 89th Open Your Heart campaign for December 2018 begins. For questions regarding deliveries call the Open Your Heart Delivery office on December 23rd at 701-355-1389. 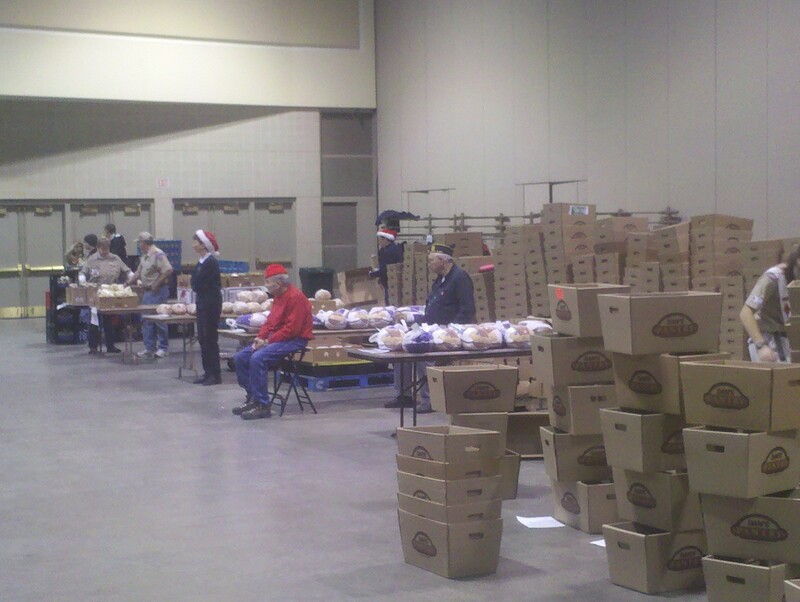 Thank you for making this Christmas merry for hundreds of families in Bismarck/Burleigh county! !